When it comes to family dentistry in St. Louis, Invisalign is Dr. Spalitto’s preferred technique for treating misaligned teeth. Invisalign can help patients of all ages achieve the smiles of their dreams. Family dentistry has long relied upon braces to straighten teeth. If your teeth are misaligned, gapped, or overlapping, you may suffer serious oral and overall health problems. Misaligned teeth are difficult to clean, which means you can develop cavities and gum disease from accumulated plaque. When a dentist uses Invisalign to straighten teeth, it ensures that you will have a much healthier smile. 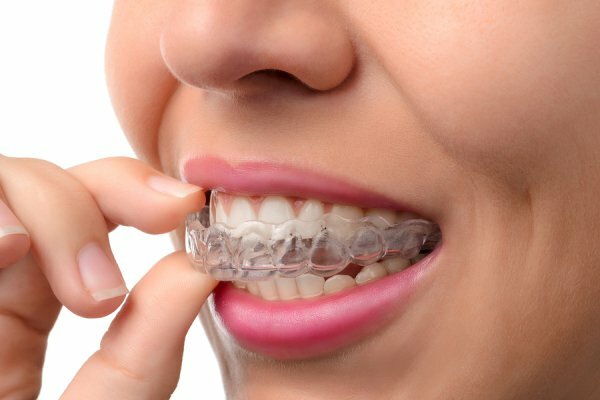 Invisalign is also much easier to care for than traditional metal braces. Simply remove the clear aligners before eating or brushing your teeth. Because you have no painful metal brackets to work around, brushing and flossing are more effective. Additionally, Invisalign does not require your dentist to perform constant adjustments. Best of all, almost no one will be able to tell you are wearing braces. At the end of your Invisalign treatment, you will have a beautiful smile. Learn more about Invisalign by calling Dr. Spalitto of West County Dental at (314) 821-2712 today.